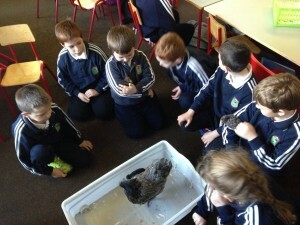 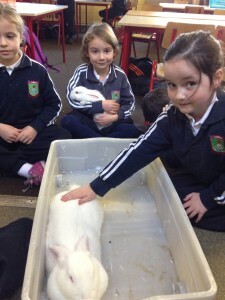 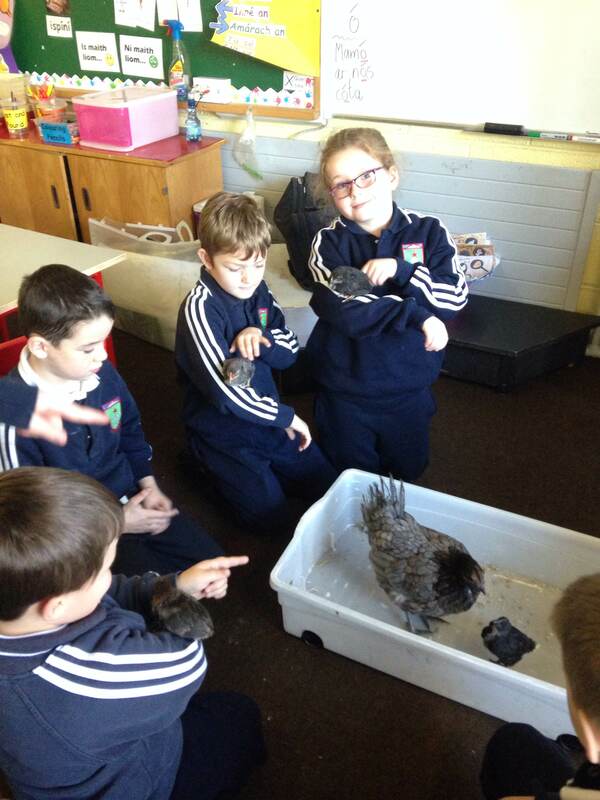 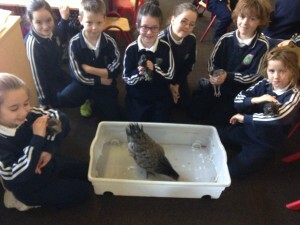 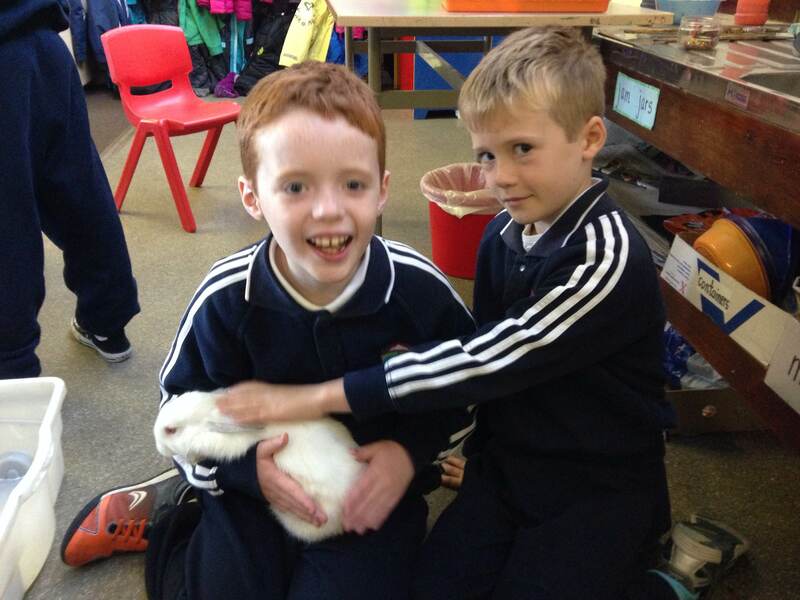 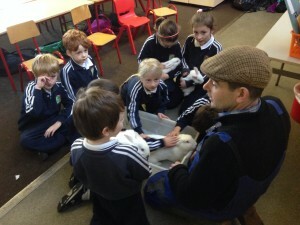 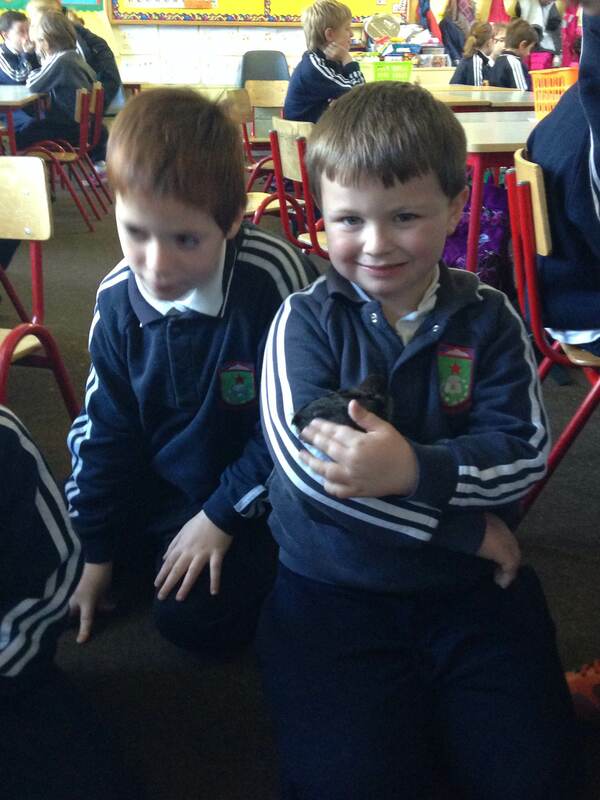 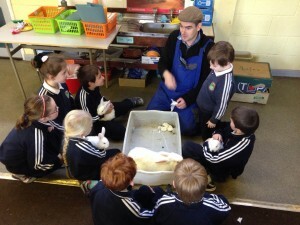 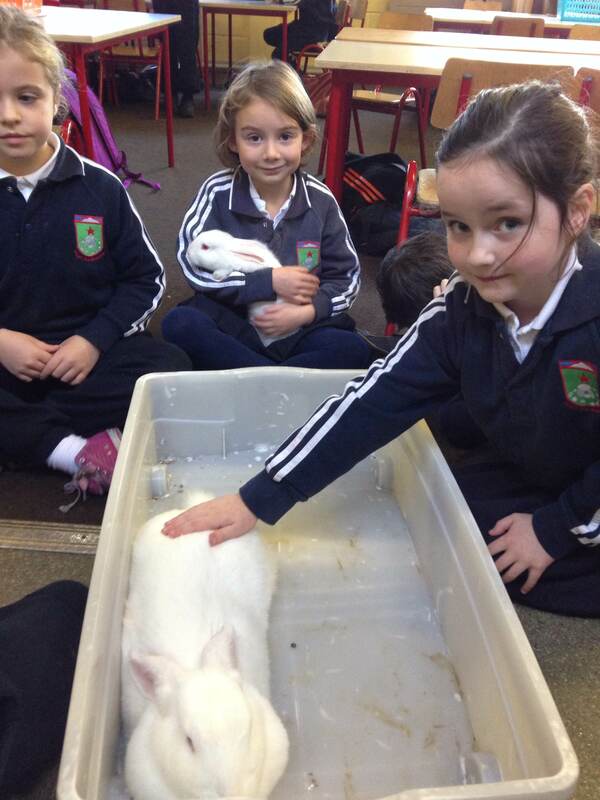 Farmyard in Your Schoolyard came to Junior Infants, Senior Infants and First Class today. 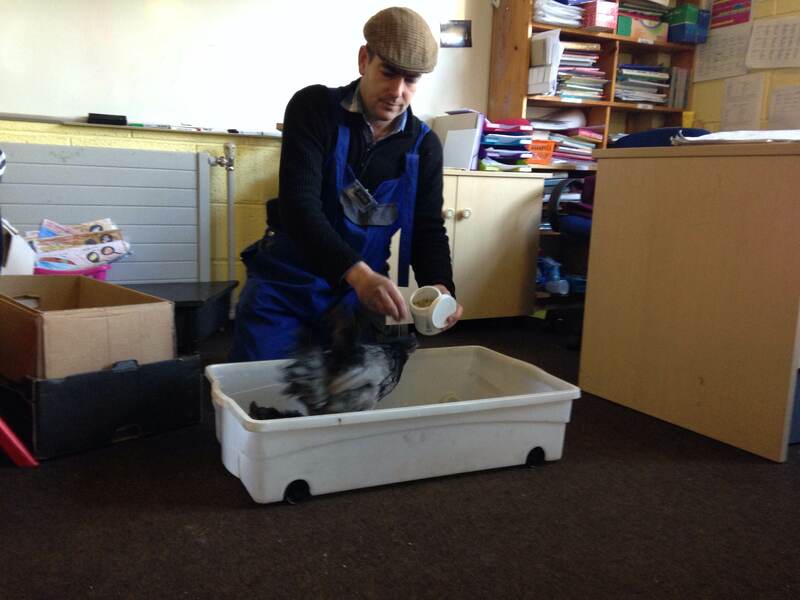 We were all very lucky to have some lovely furry visitors come into your classrooms. Farmer John introduced us to some rabbits and chicks while also teaching us about the importance of disposing of our litter in a correct way, to keep our animals safe both on land and in the water.